The WeldWerx Rock & Root Bucket is great for land clearing, landscaping, farm use, scrap yards etc.. Scoop up rocks, roots, scrap, etc. and leave the dirt behind. The WeldWerx Rock & Root Bucket fits all machines with the universal quick attach mounting system. 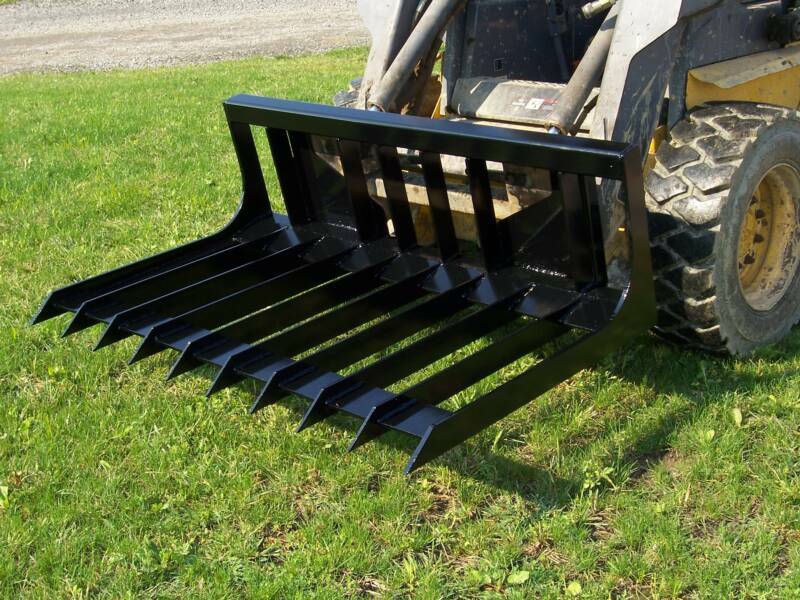 The Steel-Tec Grapple Bucket is available in 48” x 36”, 60”x 36”, 66” x 36”, 72”x 36”, 84”x 36”. Custom sizes are also available.